Sainthood seems to have been a hobby for the family of Basil. One of his grandmothers was Macrina the Elder. One of his grandfathers was a martyr. His father was Basil the Elder. His mother was Emelia. One of his sisters was Macrina the Younger. Among his brothers were Peter of Sebaste, Naucratius, and Gregory of Nyssa. Beyond that, he was a close friend of Gregory of Nazianzus. Looking back over the surface of the waters of time, it is difficult not to be amazed at the inspiring family life of Basil but it's likely that he thought it normal for much of his life. His family was wealthy and generous but never lacking in goods or money. Because of their great wealth, Basil had the opportunity to receive the best education that money could buy--literally--after being educated at the knee of Basil the Elder and Macrina the Elder. He excelled in his studies while in Caesarea and had a particular talent for rhetoric and persuasive speaking. Through all of this and in spite of his holy family, Basil had no real connection to the Faith that moved and motivated so many of his kin. So, he returned to be with his family and practiced law. His life was looking like it would be successful by some standards but atypical from that of his family's history and future. When he was thirty, a variety of circumstances assailed him. He had been educating his younger brothers but had also been hearing from his sister Macrina that he should not become puffed up with his own education. From Macrina, he heard a different set of values than he had been instructed in by his teachers and mentors--how could she say that knowledge wasn't a good in and of itself? Yet, he met a man named Eustathius and things changed. This bishop and ascetic rocked Basil's world and turned it upside down by pointing to an entirely different set of values as supreme; a set of values that prioritized love and service above knowledge and the world's standards for success. Basil described the whole event like waking up from a thirty year dream. He felt that he could now see through the illusions of life and he too picked up asceticism as a way of taming the body and mind and bringing it in line with Jesus' calling upon his disciples. Basil was changing slowly but surely and now his future looked very different. After being baptized he began traveling from monastery to monastery to learn more about the monastic and ascetic way. What troubled him about the experience was the intense isolation that the men and women underwent to seek after God. To Basil, this seemed like a broken idea because he understood the Christian community to be a transformed and transforming body that should not be abandoned by any means. He began calling fellow Christians and monastics together to live in community with each other as a foretaste of the Kingdom of God. These little groups of people became powerful witnesses to a Gospel that promised not only salvation but also the redemption and healing of the world. He called to his friend Gregory of Nazianzus and the two of them worked together in transforming monasticism into a communal project before Basil found out that Gregory was avoiding his family because of a desire to be a monk. Basil encouraged his friend to return home and serve in the community that he was already connected with. It was hard to send Gregory away but Basil knew it was best for the Church and for his friend. Eventually, Basil became a bishop and official leader within the Church. He was a skilled theologian and speaker and was given many opportunities to shape the growth of the fledgling Body of Christ. In one famine, he opened up his church's doors to provide food for any and all that would come and receive it. He spent time regularly with thieves and prostitutes so that he might not forget that Christ was among these and not a commodity that the Church could trade in. He was keenly interested in serving the God who had called him out of slumber and he did so with a passion that surprised many who had met him while a student and become reacquainted with him after his conversion. Theologically, he recanted the semi-Arianism of his youth and became a staunch supporter of the Nicene creed. 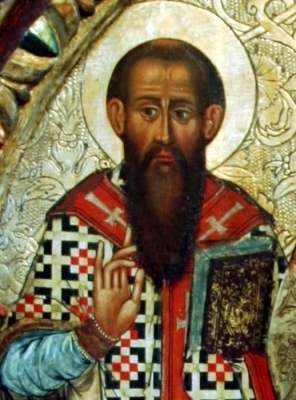 His theological work was not aimed at vilifying or victimizing the Arians but, rather, at bringing them back within the warm embrace of orthodoxy. When his mentor Eustathius was found to be on the other side of a point of argument, he maintained a loving relationship with the man while all the while arguing against him and insisting he was in error. Basil died in 379 as a servant of the Church that had called and formed him. He had been raised from slumber to pursue those whom God loved furiously. Perhaps the most fitting compliment for the man: he fit in well with his family.